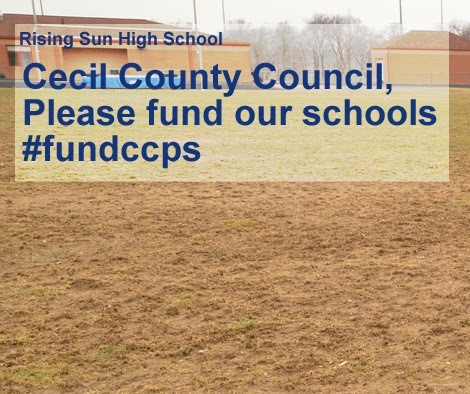 Many Cecil County Public Schools and their facilities are in dire need of repair or replacement and, while the school system has had a plan in place to address these issues, the amount of funding from Cecil County has lagged behind that of other jurisdictions in the state. There is a population in the county that has vocally encouraged the County Executive and County Council to continually underfund our school system. We need to be just as vocal in our support of CCPS. 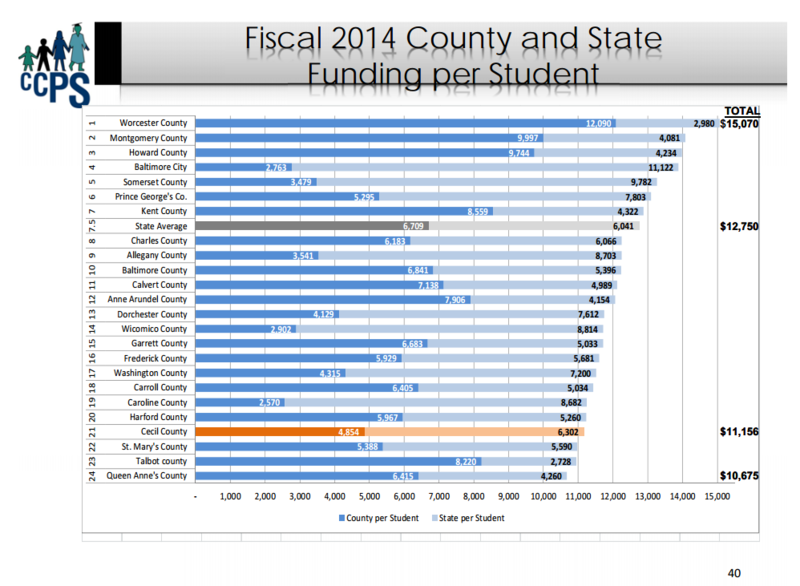 Contact the County Executive and members of the County Council and encourage them to support the CCPS budget.